We are always looking for egg, dairy & nut free recipes for my grandson Jett. He has many allergies making finding treats he can have a problem. Here is a recipe I found from Sweet Little Bluebird, it’s called Crazy Cake. It uses no eggs, dairy, or nuts. She mixes and bakes it in an 8″ square pan, really easy! 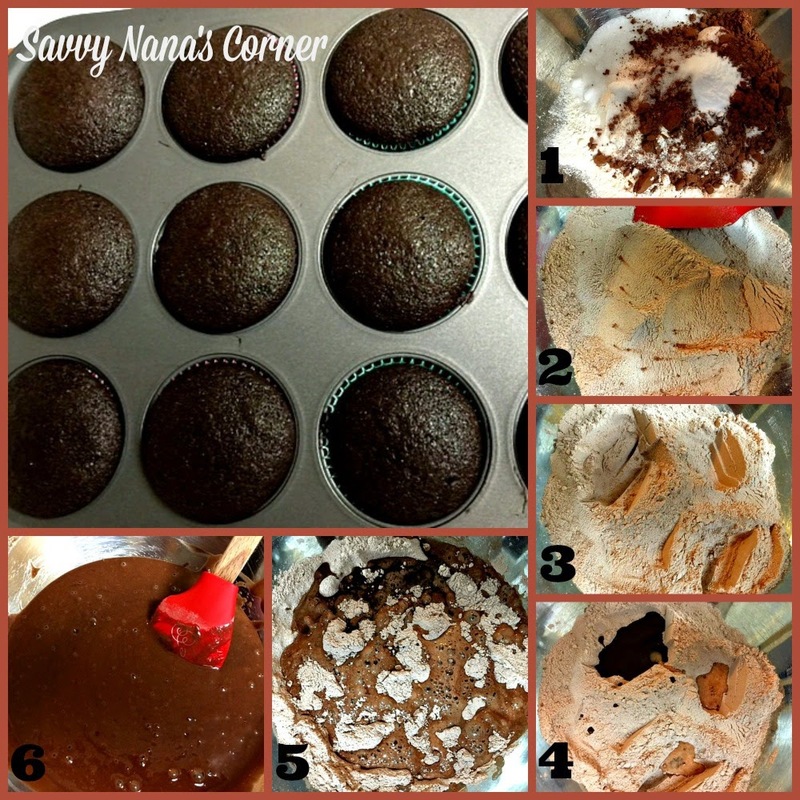 She has adapted the recipe to make different flavor cakes. I used the basic chocolate cake recipe, but made cupcakes instead. Obviously I had to mix it in a bowl to make cupcakes, but the steps are the same, I just had an extra item to wash. The recipe will make a dozen cupcakes. You can frost the cupcake with Oh She Glows‘ 2 ingredient fudge frosting that’s also dairy free. When making this cake it’s important to strictly follow the directions. Ingredients must be added exactly as described for it to work. I don’t know how it works, but incredibly it does. 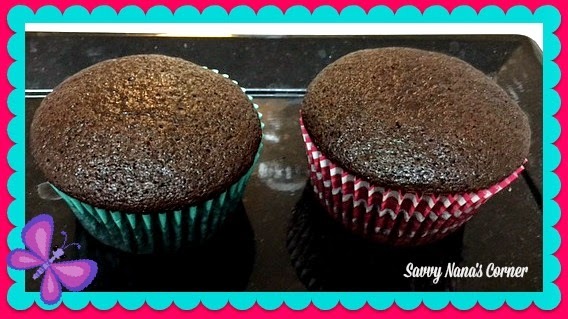 The cupcakes turned out moist and yummy! 1. Place the 5 dry ingredients in a bowl. 3. Make 3 indentations in the four mixture. 2 small, 1 large. 4. Place the vinegar and vanilla in the 2 small indentations and the oil in the large one. 5. Pour the water over all of it. Cool completely. Frost cooled cupcakes if you like. 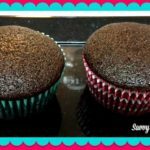 Click here for Oh She Glows’ 2 ingredient chocolate fudge frosting. I make these cupcakes specially for Jett, but the family loves them too! To keep them I freeze the cupcakes in ziplock freezer bags and thaw them out and frost as needed. Thanks to Sweet Little Bluebird for this awesome recipe! Place the 5 dry ingredients in a bowl. Make 3 indentations in the four mixture. 2 small, 1 large. 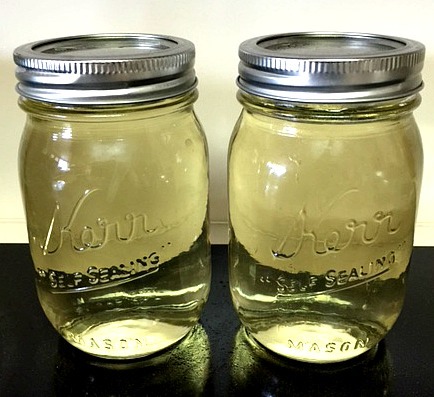 Place the vinegar and vanilla in the 2 small indentations and the oil in the large one. Pour the water over all of it. Cool completely. Frost cooled cupcakes if you like. 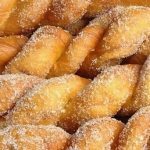 Shakoy (Twisted Fried Donuts) Recipe!!! 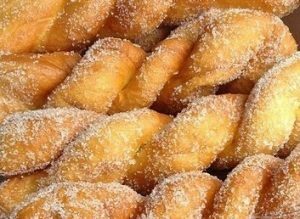 Twisted Fried Donuts “Shakoy” is a Filipino all-time favourite snack “meryenda” and it is very popular with its native version of twisted sugar doughnuts. You can buy and find this everywhere in all edges here in Philippines, local markets and even in street vendors. I remember how I love Shakoy when I was just a kid, I force my grandmother (Lola) to cooked it every day for an afternoon snack. Now that I’m old enough to know the procedures and how to cook, now, my Lola always wants me to cook Shakoy everyday. This dish is very easy to cook and to prepare the only delaying part is when you wait for the dough to rise up because it takes time. This is my version of Shakoy (Twisted Fried Donuts) Recipe. Enjoy! Sift all purpose flour, add salt and yeast then mix very well Using a large bowl. Make a well in the middle and pour the water then mix until forms dough. Sprinkle flour and knead the dough until it becomes smooth and form a ball. In case the dough is still too sticky, add a little flour, then knead more until you get to the right consistency. Get a clean bowl, grease with oil and place the dough on it and cover with clean cloth and let it rest for 1 at least an hour or so. (These process will double the size of the dough. After an hour when the dough rises, punch down and knead, cut in your desired sizes. Place the twisted dough on a tray and cover with a clean cloth and let it rest for 1 hour to rise. In a large frying pan, heat cooking oil over medium heat. Drop the twisted dough in batches and fry until color turns golden brown. 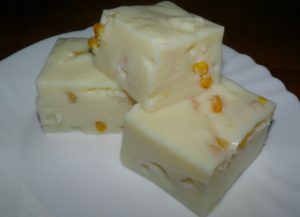 Maja Blanca is a Filipino dessert made with cornstarch, coconut milk and sugar. It is also called Coconut Pudding. This luscious dessert is easy to make using common ingredients. There are many ways to make and serve Maja Blanca. You can add small kernels of sweet corn inside or top it with toasted coconut or shredded cheese. You can also add fruit salad to your Maja Blanca mixture. It’s so awesome you can fill it and top it with anything you want. 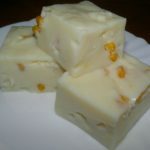 Unknown to many, the original Maja Blanca Recipe does not include corn and coconut milk. Maja Blanca is the Filipino adaptation of the milk based Spanish recipe called Manjar Blanco. For now I will give you a simple version of Maja Blanca. If you’re looking for more merienda recipes check out our Merienda Series including “Halo-Halo ” Filipino Iced Mixed Fruit Dessert, Halayang Ube (Purple Yam Jam), Banana Lumpia – Turon, Bibingka Galapong, Puto Cheese (Steamed Rice Cake with Cheese), Mais con Yelo – Refreshing Filipino Snack, Bananas in Syrup – Minatamis na Sabang Saging, Banana Que – Fried Banana Skewers, Pancit Palabok – Filipino Noodle Dish, Biko (Sweet Rice Cake) Treat, Filipino Beef Empanada Recipe Champorado: Filipino Chocolate Rice Porridge and Palitaw – Coconut & Sesame Seed Topped Sticky Rice Dumplings! Butter an 8-inch baking dish or pie pan, and set aside. Mix 1/2 cup of water with the cornstarch in a bowl, and stir until smooth. Combine the coconut milk, 3/4 cup of water, and sugar in a saucepan over low heat, and stir until the sugar is dissolved. Bring the mixture to a boil, add the corn kernels, and then stir in the cornstarch mixture, stirring quickly to avoid lumps as it becomes very thick. Bring the mixture back to a boil, and simmer until fully thickened and smooth, stirring constantly, about 2 minutes. Pour the maja blanca into the prepared dish, and set aside to cool until firm, about 1-2 hours. You can add any toppings you want such as flakes of roasted coconut meat, shredded Cheddar Cheese or shredded peanuts. Put it in the refrigerator for 1-2 hours, its best cause it will bring your Maja Blanca Flavors fantastic. You can add any toppings you want such as flakes of roasted coconut meat, shredded Cheddar Cheese or shredded peanuts. Put it in the refrigerator for 1-2 hours, its best cause it will bring your Maja Blanca Flavours fantastic. Mais con Yelo is a sweet and refreshing snack popular in the Philippine . The name is derived from Spanish and literally means “corn with ice”. Mais con Yelo is made of sweet corn kernels, milk, sugar and shaved ice. It is an easy Filipino merienda (snack) or dessert that is commonly by street vendors specially during the summer months. 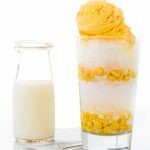 Mais con Yelo is one of the best summer treats, a truly refreshing sweet milky cooler. It’s also very affordable and easy to prepare at home. When we were kids our mothers and grandmothers always made this treat for us! All you really need are 4 ingredients; corn, ice, sugar, and milk. If you want to make it little fancier you can top it off with a scoop of ice cream; vanilla, sweet corn, and mango flavors are go well! You can even sprinkle some crushed corn flakes on top to give it a bit of crunch! If you’re looking for more merienda recipes check out our Merienda Series recipes including “Halo-Halo ” Filipino Iced Mixed Fruit Dessert, Halayang Ube (Purple Yam Jam), Banana Lumpia – Turon, Merienda Series – Bibingka Galapong and Puto Cheese (Steamed Rice Cake with Cheese). Crush or shave the ice using an shaved ice machine, blender, or food processor. Combine evaporated milk and condensed milk in a large bowl. Add a layer of shaved or crushed ice on top of the corn kernels. 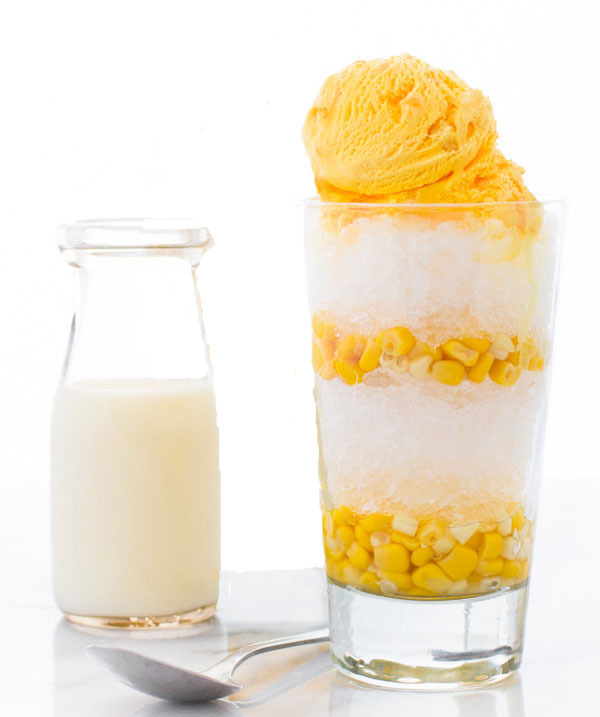 Add remaining corn kernels on top of the ice. Sprinkle crushed cornflakes on top. Top with a scoop of ice cream if desired. Pour-in half milk mixture into each glass then add sugar according to your taste. 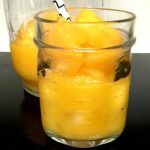 You can also make this in a bowl instead of a tall glass.